Dr. Kenneth P. May is the associate doctor of our Fairfax location. 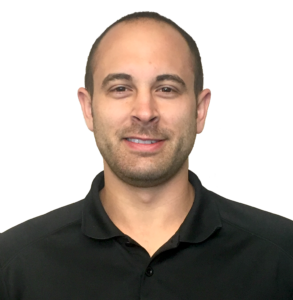 He is a licensed Doctor of Chiropractic with Physical Therapy privileges in both Virginia and Maryland. He graduated from Shenandoah University where he majored in Kinesiology with a focus in Exercise Physiology while minoring in Biology, and Psychology. He then went on to receive his Doctor of Chiropractic degree from the University of Bridgeport. Dr. May has a strong focus on Neuromusculoskeletal evaluation, and the physical rehabilitation of those conditions. He constantly keeps up with the latest research, and trends in his field to help determine the root cause of your condition for a complete resolution of your case. No matter your lifestyle Dr. May focuses on what is important to you when creating a treatment plan so that he can get you back to a happy, and healthier life. He takes a direct approach to patient care, and makes certain that every intervention has a meaningful purpose for swift results. Dr. May addresses Neuromusculoskeletal conditions through a combination of spinal manipulation, extremity manipulation, manual therapy, fascial manipulation, dry needling, instrumented assisted soft tissue mobilization, joint mobilizations, manual traction, active release, cupping therapy, compression floss, massage techniques, kinesiology taping, trigger point therapy, electrical stimulation, low level laser therapy, corrective exercises, heat, and cryotherapy. Dr. May is passionate about working with “Industrial athletes” (military, first responders, and professionals in physically demanding careers of all kinds). Dr. May also has extensive experience with athletes of all types, and levels ranging from Olympic, NFL, and NHL to youth leaguers. Dr. May is an avid golfer, snowboarder, and long boarder. It’s common to see him around the Washington DC region practicing what he preaches being active trying new indoor, and outdoor activities of all kind to live a happy healthy life. Dr. May grew up in Fairfax and Fauquier County Virginia. He currently calls Prince William County home with his wife, daughter and their pet cat.